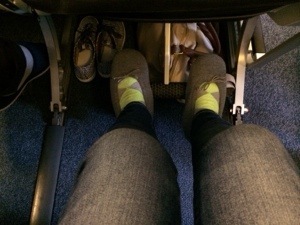 Got my in-flight slippers on with some foot-rest action… Ahhhh, time to relax. Trying out my new headrest. 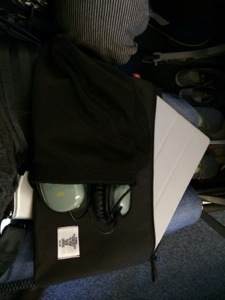 To keep me entertained, I got my iPad & noise-canceling headphones…gonna need ’em since there are some noisy kids on our flight. 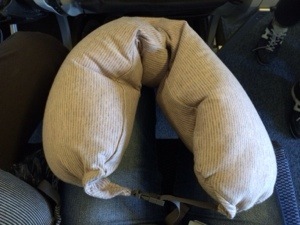 See you when we get there!! !